Ask the Child Therapist Episode 97 Kids Edition: Teaching Kids to Beat Fear by Moving Towards It. 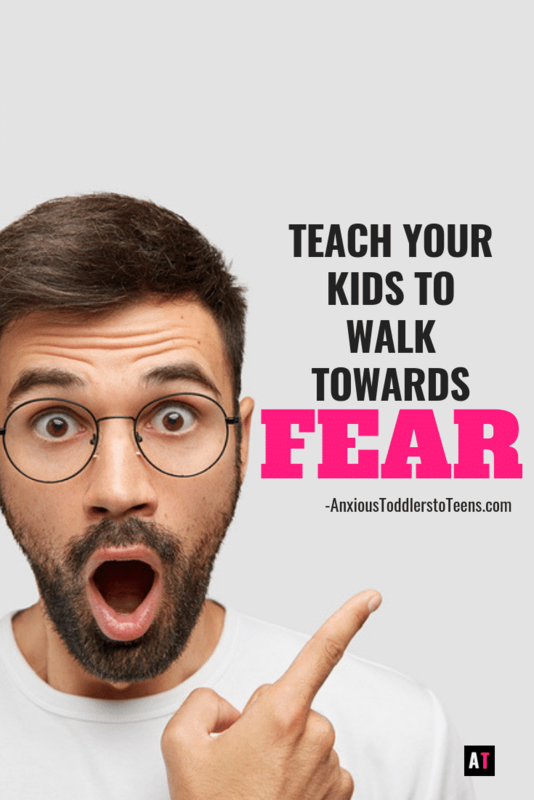 Teaching Kids to Beat Fear by Moving Towards It. If you have a child with Anxiety or OCD in your home, you probably also have fear living there as well. Fear loves to cozy up with our kids and boss them around. Sometimes it can seem too daunting to beat fear. Fear can seem omnipresent and all powerful to our little people (and sometimes ourselves as well). I teach kids that they don’t have to take big swings at fear to win. Fear can swing back and knock them off their feet. But I do teach kids that they can push back. They can make fear wait. They can poke back at fear and move towards it instead of away from it. In this week’s Kids Youtube video I talk to kids about taking small steps towards fear for big results over time.